The stars of Heroes in Crisis. Comics writer Tom King’s work is at its very strongest when it’s focused on the internal, emotional struggles characters are going through as they’re also fighting to save the world. King’s upcoming DC Comics limited series Heroes in Crisis lives in that space. 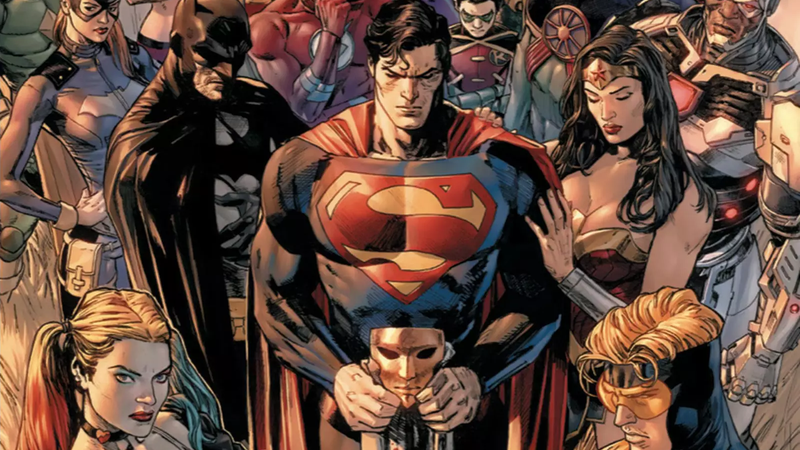 Heroes in Crisis will explore the psychological trauma that superheroes go through as a result of the kinds of lives that they lead. The seven-issue series, illustrated by Clay Mann and Tomeu Morey, will build on the concept of the Sanctuary, a trauma and rehabilitation center for metahumans founded by Batman, Wonder Woman, and Superman that fails to provide one of its patients with the care that they need as the story opens. The cover of Heroes In Crisis #1. Sanctuary’s first mishap with a patient will result in a death, the repercussions of which will have universe-changing implications. Batman, Wonder Woman, Superman, Harley Quinn, and Booster Gold will have to team up to handle the events of Heroes in Crisis when it hits stores September 26.